Anderson is 14 months old. 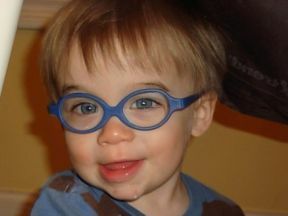 He wears glasses for farsightedness as a result of a pediatric cataract. They are miraflex, which are PERFECT for a baby!